I know every single one of you can relate to the story I’m getting ready to share. For those of you who are my regular readers, you’ll know I’ve been having neuropathy in my feet for several months now. My podiatrist had referred me to a neurologist with orders to run blood tests to see if there is a dicernable cause for my neuropathy. After waiting six weeks for an appointment, I finally saw the neurologist earlier this week. It ended up being a complete waste of time and a $25 co-pay! Based on recent blood tests from my family doctor, the neurologist quickly ruled out the most common reasons for neuropathy. I don’t have diabetes, hypothyroidism or a B12 deficiency, and I’ve never taken chemotherapy drugs. So, he shifted me to the “20 percent of neuropathy cases where we don’t have a cause” category. Fabulous! Then, of course, the neurologist wanted to write a prescription. 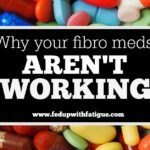 The typical treatments for neuropathy just happen to be the same drugs they prescribe for fibromyalgia. They don’t stop neuropathy from progressing; they just dampen the pain a bit (if they work at all). So, there we were. He’d ticked through all of his tools, and they were useless. We always see these news stories about how “advanced” our medical system is and how fast it’s “evolving.” I may be true in some segments of medical care, but when it comes to chronic conditions, like neuropathy and fibromyalgia and ME/CFS and hundreds of others, our physicians might as well be practicing in the 1800s. The tools we need to improve the quality of our lives are just not there. I started pleading for other answers. 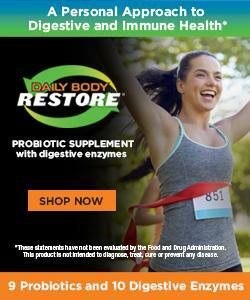 “What about supplements? Is there anything on this entire planet that will stop the nerves in my feet from dying?” He had no answers. Nothing. Nada. 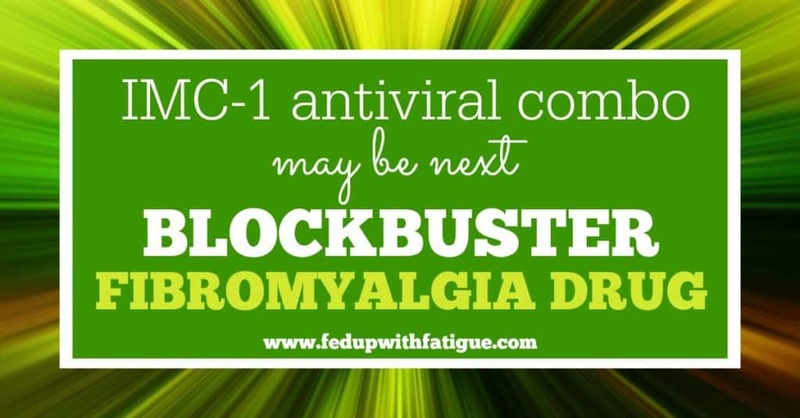 New antiviral drug combo for fibromyalgia may outperform Lyrica or Cymbalta. 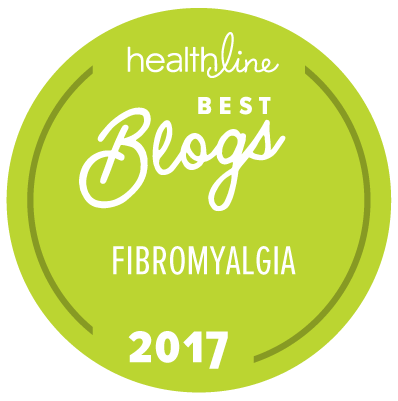 HealthLine.com just published its 2016 list of best fibromyalgia blogs, and guess who made the list?!? Two Stanford University studies are giving hope to those with ME/CFS. Dr. Lily Chu explores the incidence of suicide among those with ME/CFS. 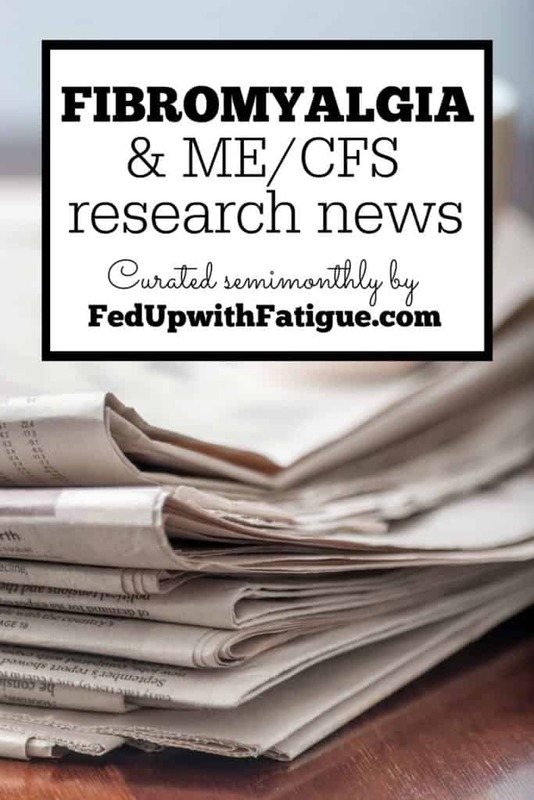 Researchers study characteristics of housebound vs. non-housebound ME/CFS patients. Dr. Jarred Younger, who researches fibromyalgia and ME/CFS at University of Alabama at Birmingham answers questions during part 1 (video, 1 hour, 4 minutes) and part 2 (video, 1 hour, 5 minutes) of a YouTube chat. 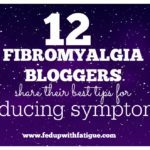 Grab your reading glasses and your favorite beverage because here’s a list of blog posts from the #May12BlogBomb on International ME/CFS and Fibromyalgia Awareness Day. Adrienne Dellwo from VeryWell.com gives us tips for choosing pain-free clothing. In “Balancing Hope & Acceptance,” Prohealth.com columnist Suzan Jackson shares some practical advice on how to balance the hope of recovery with the acceptance of day-to-day life with chronic illness. 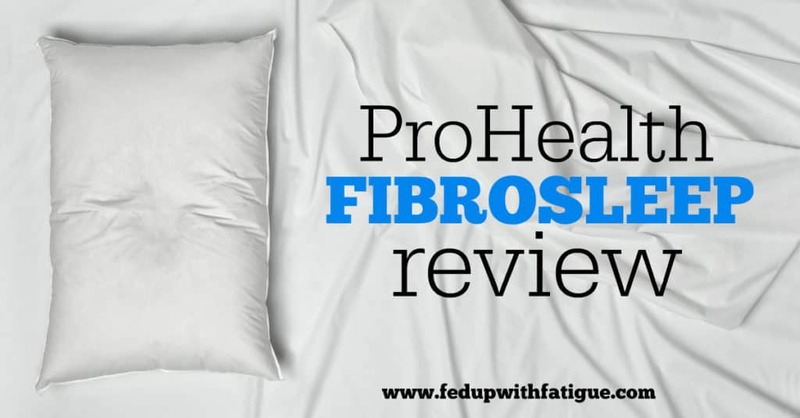 I reviewed ProHealth’s FibroSleep supplement. 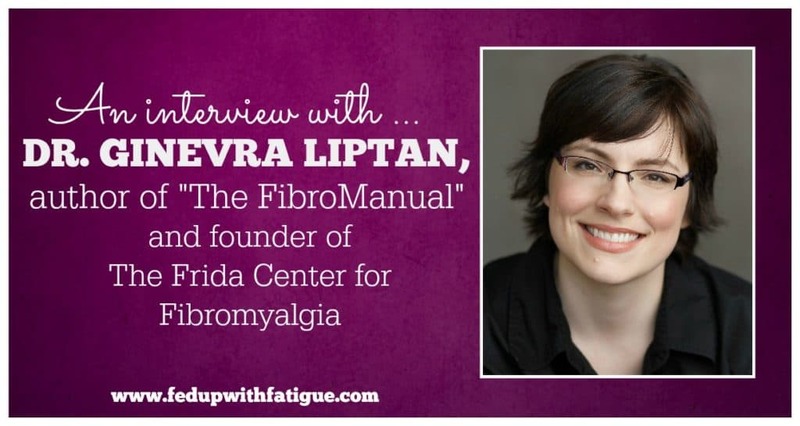 In celebration of International ME/CFS and Fibromyalgia Awareness Day, FedUpwithFatigue.com readers shared what they wish others knew about living with ME/CFS and fibro. 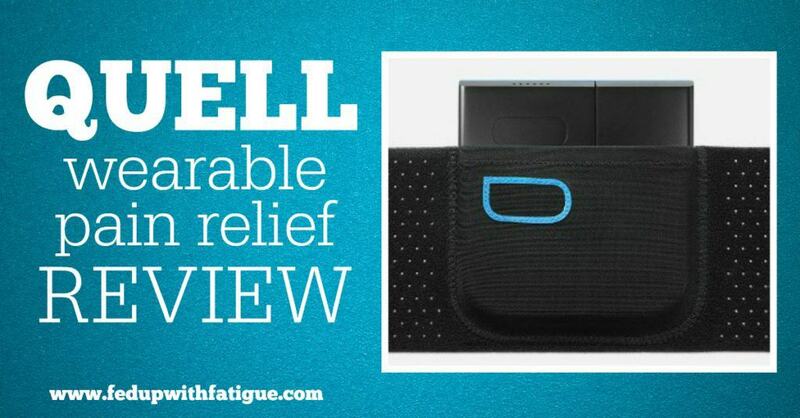 I reviewed the Quell wearable pain relief device, and guess what, it actually worked! New reader, first comment. 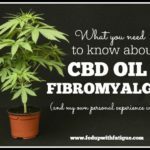 I have been diagnosed with Fibro/CFS and a “strong possibility” of Hyperadrenergic POTS (postural orthostatic tachycardia syndrome). The tests will be many, expensive, and difficult for a trauma survivor with complex PTSD and the hospital being one of my biggest triggers, hence the POTS being just suspected as of now. I’m on Atenolol to temporarily treat the high pulse, high blood pressure, and the arrhythmia I’ve suffered since I had my son 2 years ago. ANYWAYS! I have noticed my feet going numb a lot, mostly on the very bottom of my feet (tingling sensation and a bit of burning) but I’m unsure of the difference been feeling blood pooling from POTS vs. neuralgia with fibro. Yesterday, I woke up with my left hand feeling like pins and needles, only the feeling was quite uncomfortable and I felt as though it shot up my forearm and toward my elbow. It lasted from 8am-2pm and then seemed to quiet down. Is this similar to what you experience? Or anyone reading? It’s the first time I’ve had anything but tingling in my fingers. This was parts of my palm, my thumb quite badly, the pad beneath my thumb. More widespread. It made it hard to pick up my child. 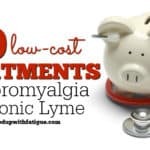 My rheumy is great but he’s told me he will NEVER prescribe me Lyrica – “It’s a racket.” I’ve had no success with Cymbalta. 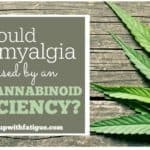 My relatives with fibro (grandma who died, my mom, my aunt) have not had luck with Gaba so I doubt I would either and I don’t think I could get my primary (who I see because she is cheaper co-pay wise as she’s not a specialist) to prescribe it and I’m reluctant to take another medication as I am on SO many for mood disorder, insomnia, POTS, etc. Please share with me what your neuralgia feels like, if you wouldn’t mind. Thanks! The neuropathy in my feet fluctuates throughout the day. It’s usually worse in the mornings and evenings but I’m not sure why. Mostly it’s numbness, tingling and some burning/searing pain. Mine is in the soles of my feet, not the whole foot. Certain shoes make it worse. Sitting in a reclined position makes it worse. I’ve found a couple of things to help it. 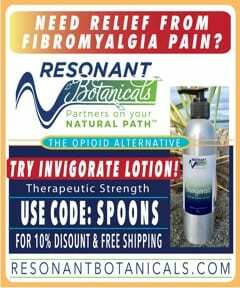 Magnesium lotion (can find it on Amazon) and the Quell device. Also The Fay Farm’s CBD lotion, which I reviewed on my blog a few weeks back. It’s tough b/c there’s not much to help it if you can’t take the prescription meds, and even those have limited benefit. Another great roundup of news! Chronic Mom’s post was a good one, too! Have you considered Perineural Injection Treatments? 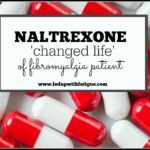 I am an FNP and past chronic pain sufferer. I find it very beneficial to my neuropathy patients. It usually takes several treatments that are not covered under insurance but could be an option in your toolbasket. 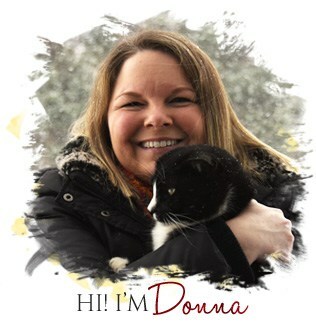 I enjoy your blog & thank you for sharing your story & the amazing tool & articles. I haven’t heard of those, but will research them to learn more. Thank you for the suggestion! Have you had EMG testing to check for peripheral neuropathy? Mine is not as severe as yours but it is progressing slowly in me. The EMG testing is not pleasant but it will definitely give you a diagnosis. I’m not sure why your Neurologist wouldn’t recommend this testing to you? Yes, I have had the EMG test and it indicated neuropathy. The podiatrist wanted testing to see if there was some sort of underlying cause for it. I can remember how excited I was the first time I read your information. It has literally saved my mind. I live in a rural area and am not able to drive most days. I was seeing a Pain Specialist for about 15 years. Initially she really worked to help me. I had some pain relief with strong medication. But as time went by, our professional relationship started to deteriorate and after the Pain Conference either last year or the year before, she cut my medication out and said the newest research demonstrated that chronic pain patients should take minimal medication for pain and offered me 2 pills per month. I had an excellent Nurse Practitioner locally that would work with me and really listened. The local Hospital Board decided the clinic or other departments were not supposed to administer any injectable pain relief for any reason. She retired and I interviewed a host of local physicians. The one I chose finally said in my last appt. that I should go back to the Pain Clinic which I know wouldn’t help and it is three hours away. I am isolated where I live but do not have any financial way to change that either. I remain as active as my body will allow. I clean, wash laundry, mow the lawn and anything else I have to do to keep my home, but at an incredible price to my body. 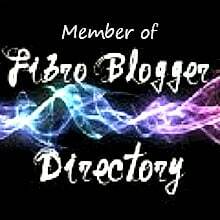 Are there any other places I can communicate with others, who really understand Fibro. and degenerative spinal disease? Please keep the news coming. I bet I am not the only one for whom you are a lifeline. You’re welcome to join us. It’s a really positive group and we focus on sharing our “best practices” for improving our symptoms. Hope to see you there! 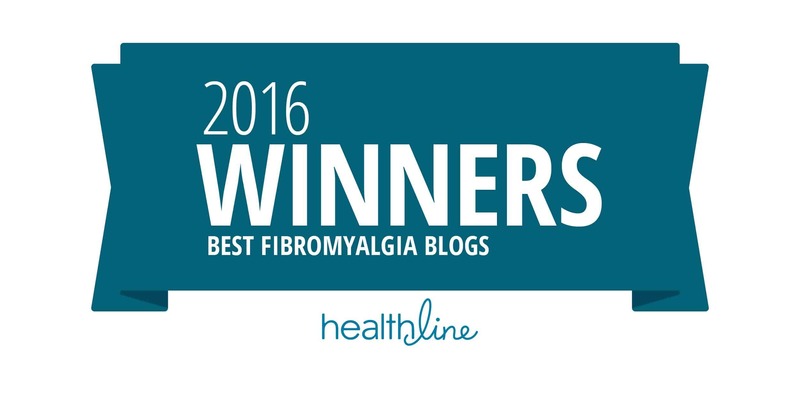 Congrats on making HealthLine.com’s 2016 list of best fibromyalgia blogs! Well deserved!!! Wishing you love and blessings! Keep blogging, I enjoy your site! My neurologist NEVER ordered blood tests and when I told him my sensitivity to meds, he quickly understood! I had neuropathy (nerve pain/damage) testing. Test on legs and feet positive. He ordered a compound cream, B-12 injections and leg exercises to strengthen my remaining good leg muscles/nerves. Told me that swimming is the BEST exercise for chronic pain. Find a neurologist that thinks ‘out of the box’.